Arthroscopy is an endoscopic procedure that allows direct visualization of a joint. This procedure is minimally invasive in which the examination for diagnosis and/or treatment of the internal joint structure is performed using an arthroscope or a tube-like viewing instrument. An arthroscope is a type of endoscope that is inserted into the joint through a small incision.If procedures are performed in addition to examining the joint with arthroscope the procedure is now called arthroscopic surgery. A procedure done arthroscopically instead of by traditional surgical techniques, usually causes less tissue trauma, results in less pain, and may promote a quicker recovery. Arthritis – helpful in diagnosis and treatment of inflammatory, non-inflammatory and infectious types of arthritis and non-inflammatory degenerative arthritis or osteoarthritis. 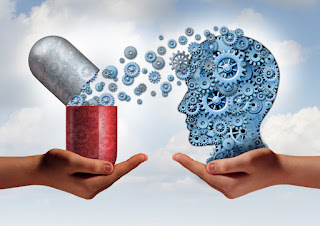 Patients who are on anticoagulants (blood thinners) should have these medications carefully adjusted prior to surgery. Signs of ongoing infection in the body usually postpone arthroscopy, unless it is being done for possible infection of the joint in question. The procedure is carried out in the operating room under sterile conditions. In some cases, it is performed by orthopedic surgeons in an outpatient setting. When performed in the outpatient setting, patients can usually return home after the procedure. An injection of a local anesthetic into the joint or general anesthesia is used. A large bore needle is then inserted and the joint is distended with saline. The arthroscope, a small tube that contains optical fibers and lenses, is introduced through the tiny incision in the skin into the joint to be examined. 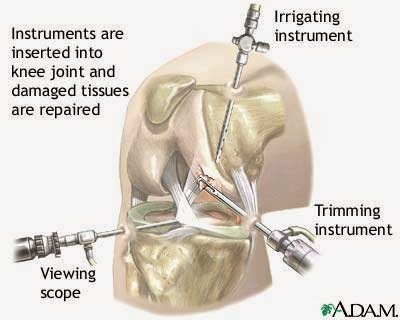 Joint structures, synovium and articular surfaces are visualized because the arthroscope is connected to a video camera and the interior of the joint is seen on a television monitor. The size of the arthroscope varies with the size of the joint being examined.